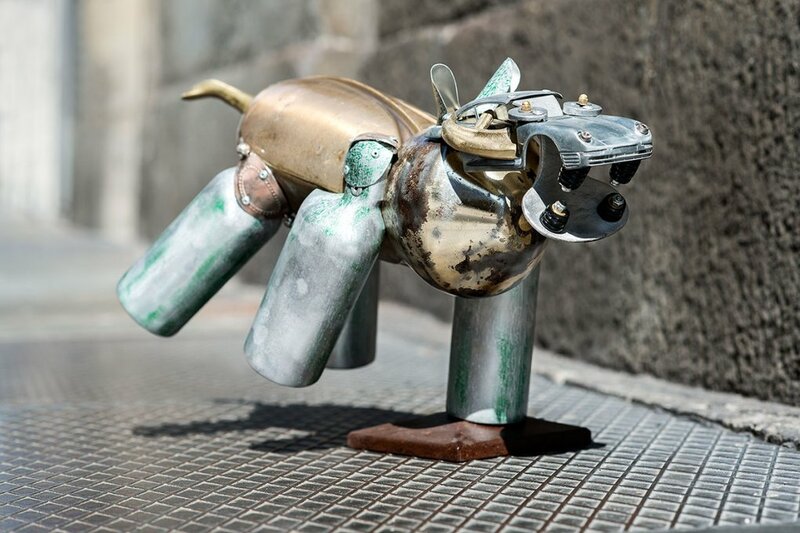 Contrary to how the title goes, the animals in the exhibition are modern trophies, caught by the artistic imagination in an urban context. 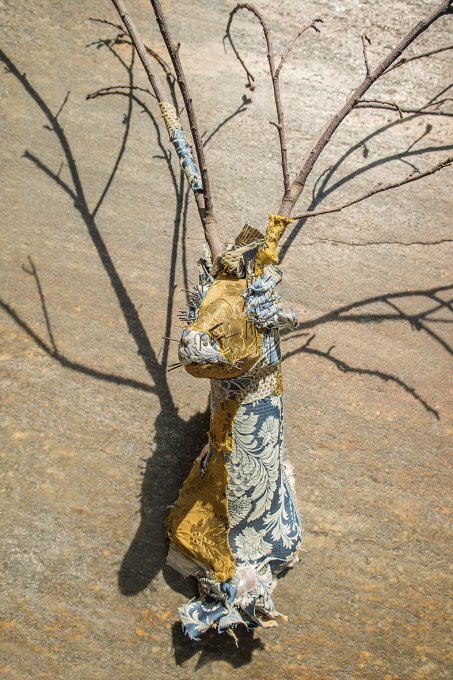 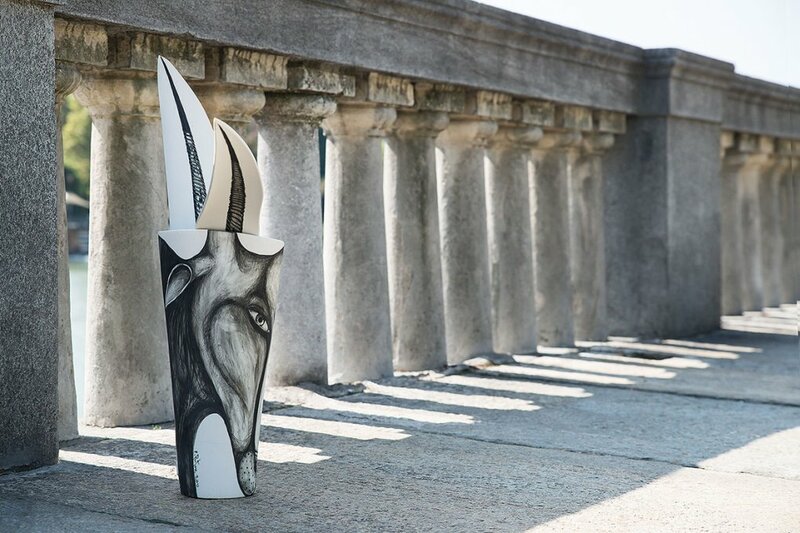 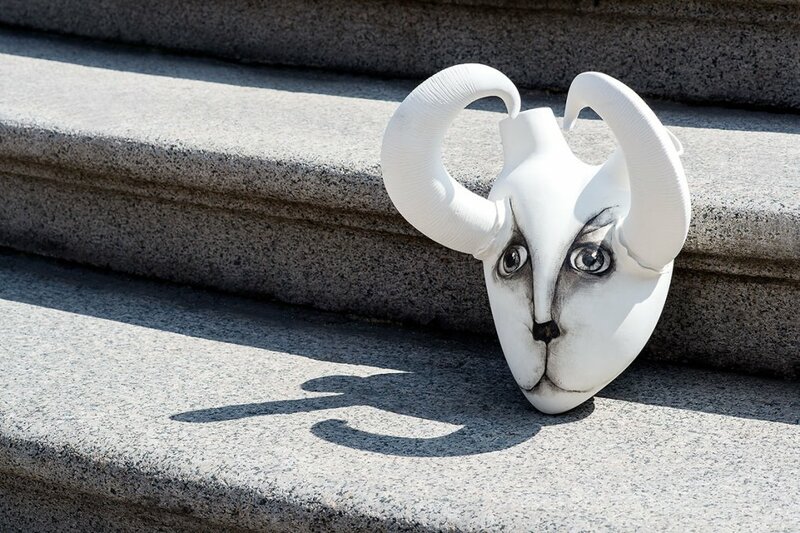 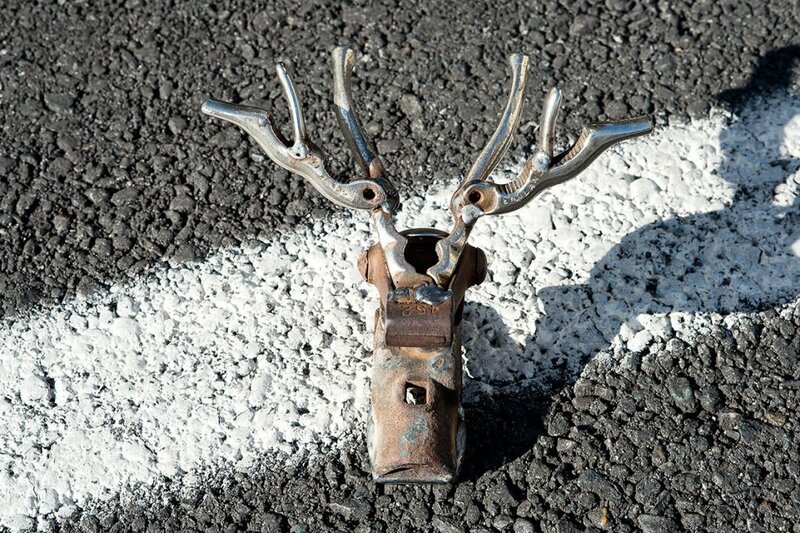 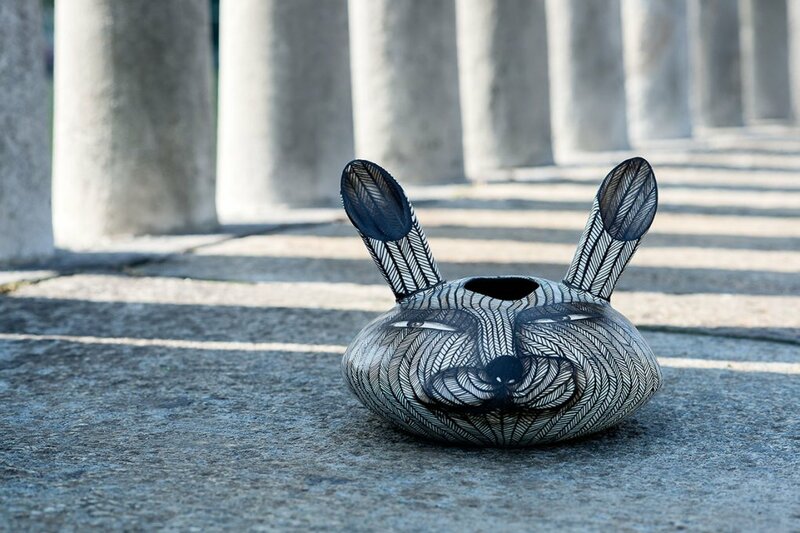 In a season where hunting is prohibited, the surprising proliferation of deer, birds and other animals made in ceramics, glass, cloth and ferrous metals, enlivens the forest, set up for the occasion as a backdrop for the works of sculptors and designers invited by Susanna Maffini to be part of this new artistic project. 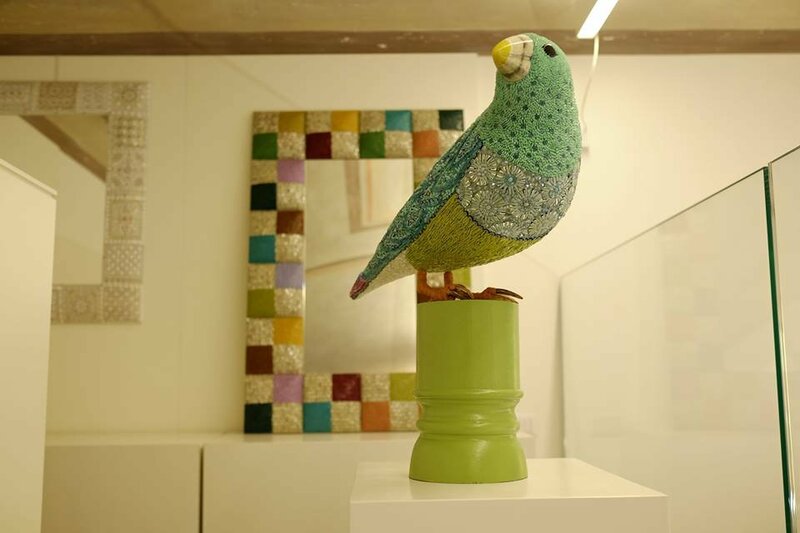 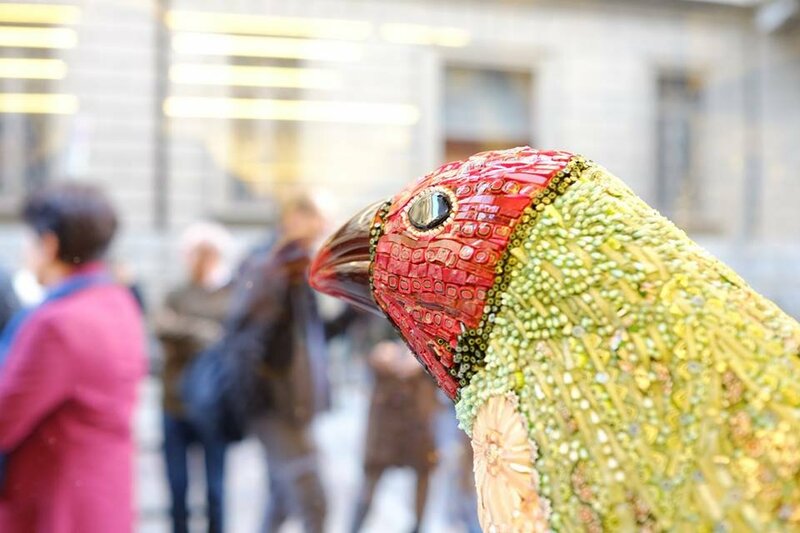 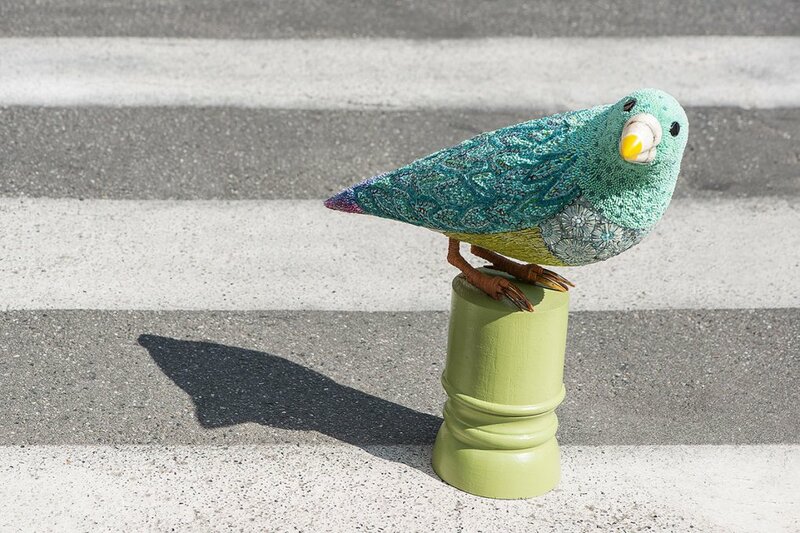 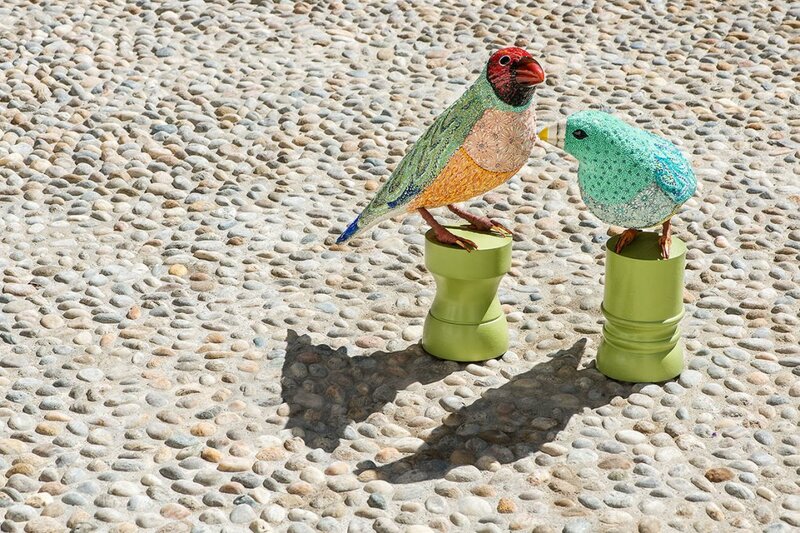 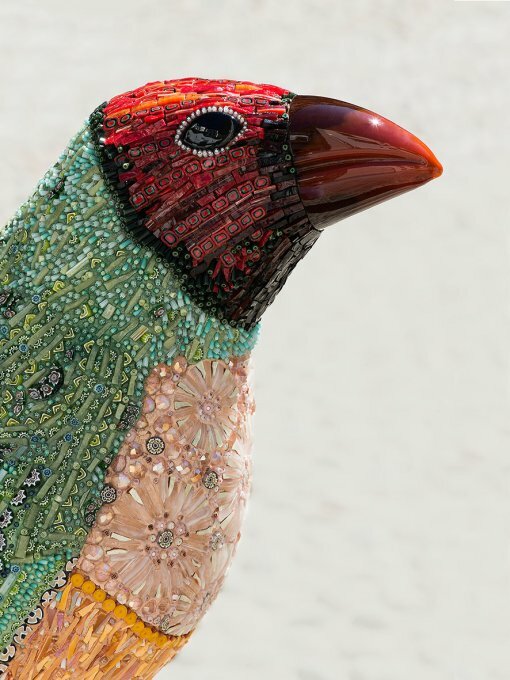 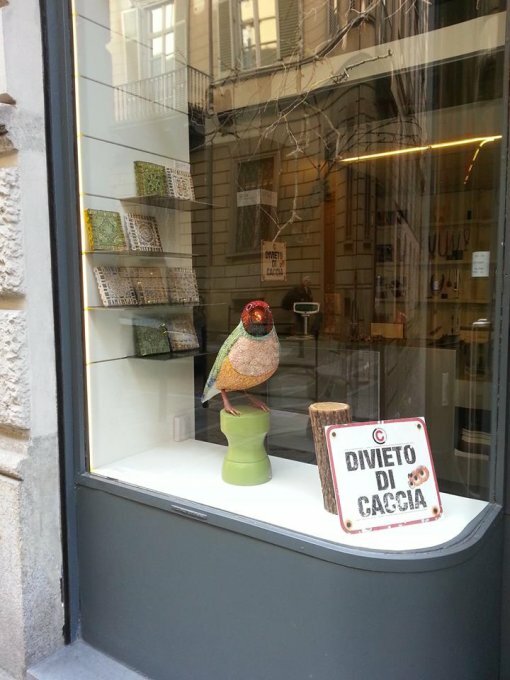 Dusciana Bravura, Ravenna based artist of Venetian origins, creates Diamond Gould, monumental precious tropical birds; mosaic sculptures made with stucco pastes. 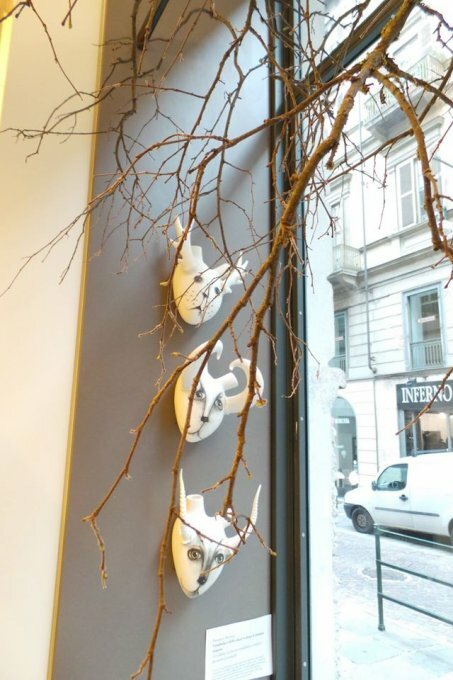 Elisa Confortini creates the works Io non sono morto and Trofei urbani, where the spirit of “memento mori” (Latin: “remember that you have to die”) seems to re-surface, in an interesting reflection on the processes of transition and rebirth governing the life cycle. 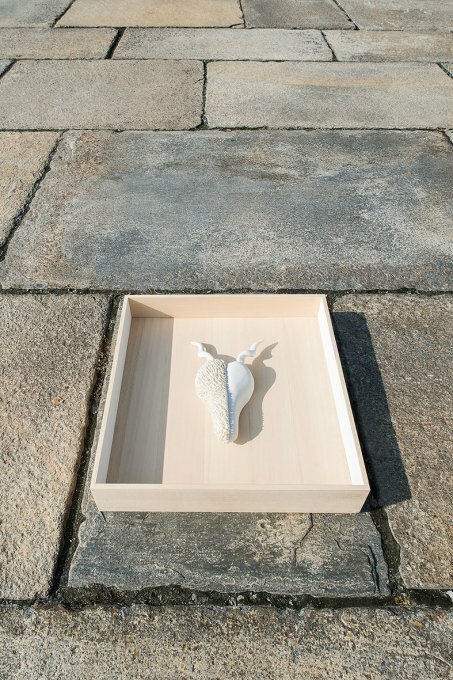 The stoneware and porcelain material is modeled to form fluid and organic lines between smooth and rough surfaces. 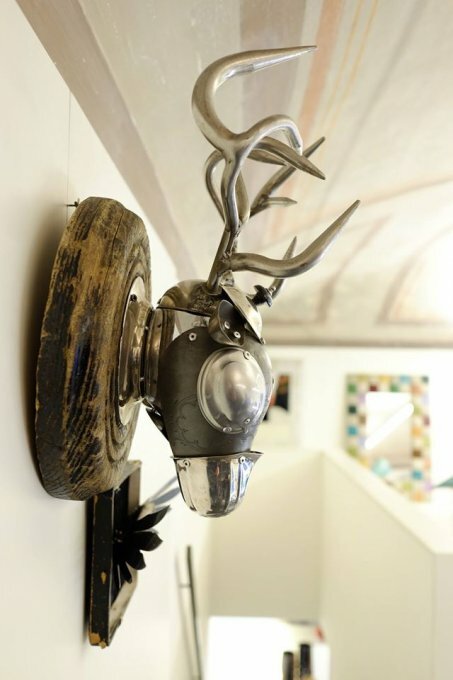 MWC, Mutoid Waste Company, is a group of sculptors and performers founded in London in the mid-Eighties, whose philosophy is to create unique works that come from recycling and are thereafter transformed. 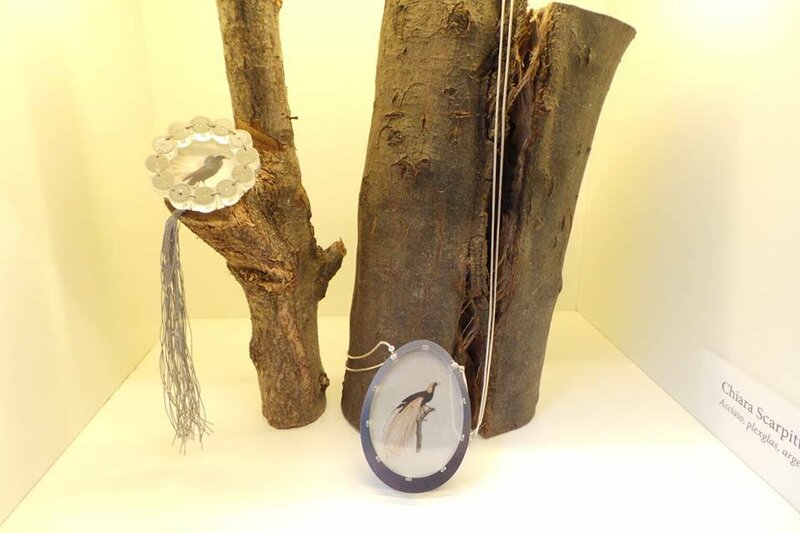 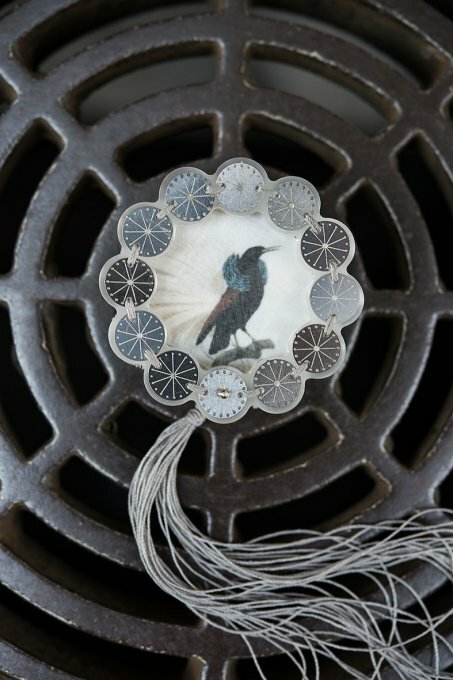 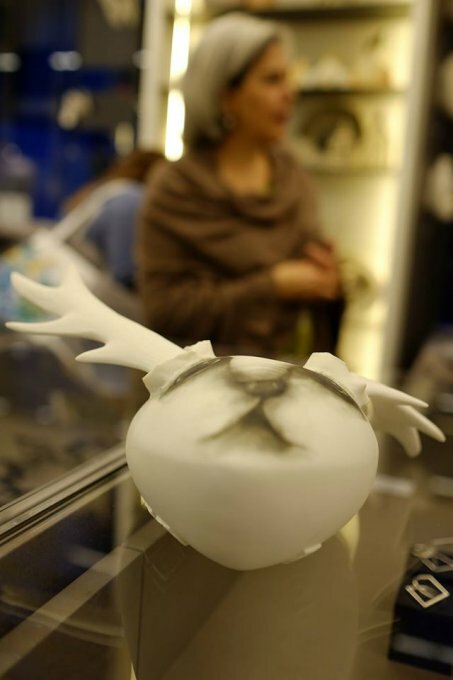 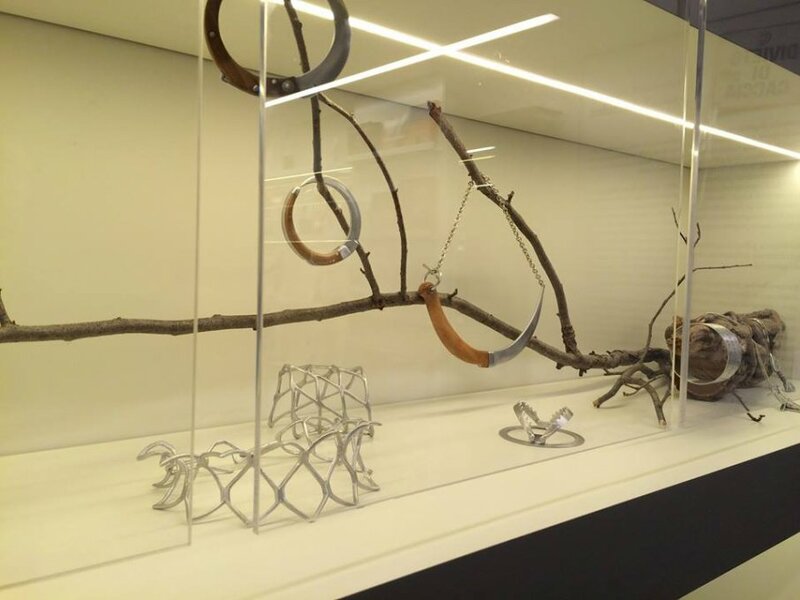 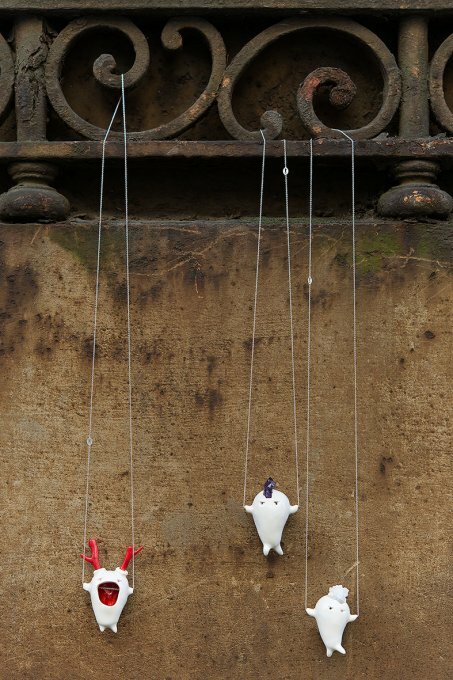 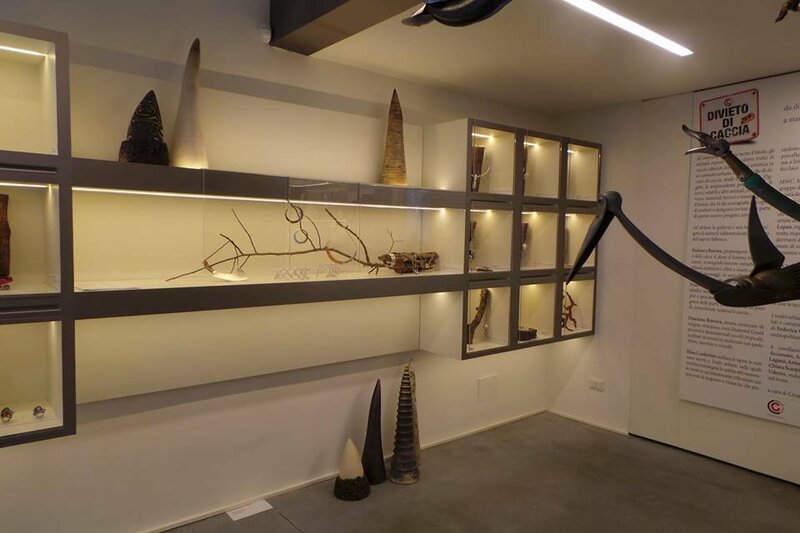 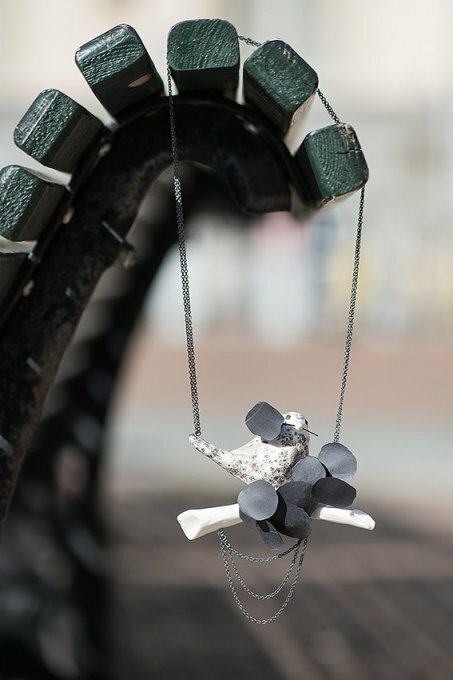 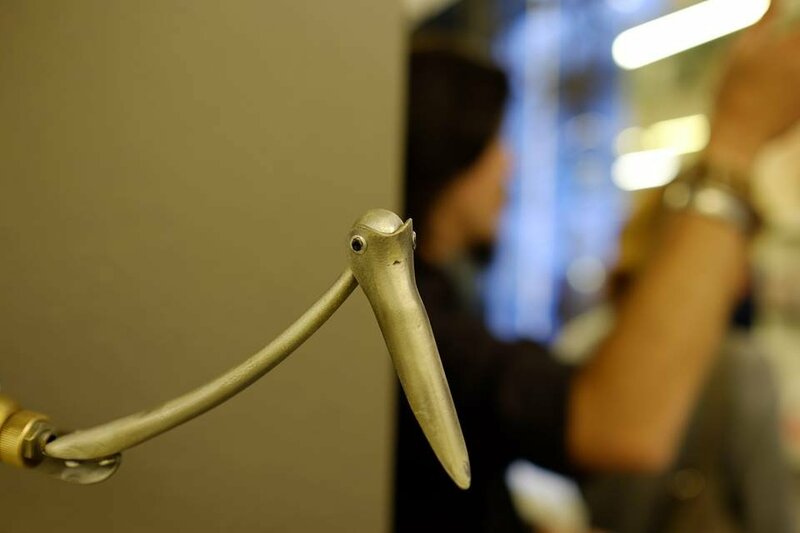 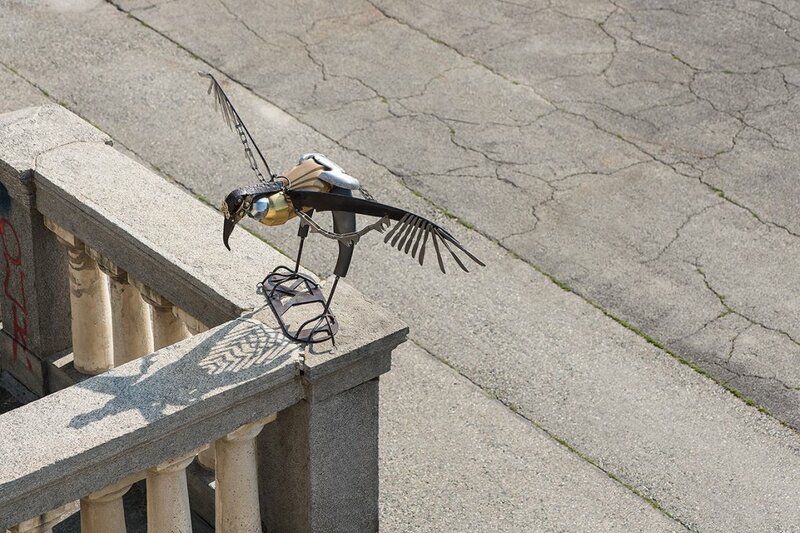 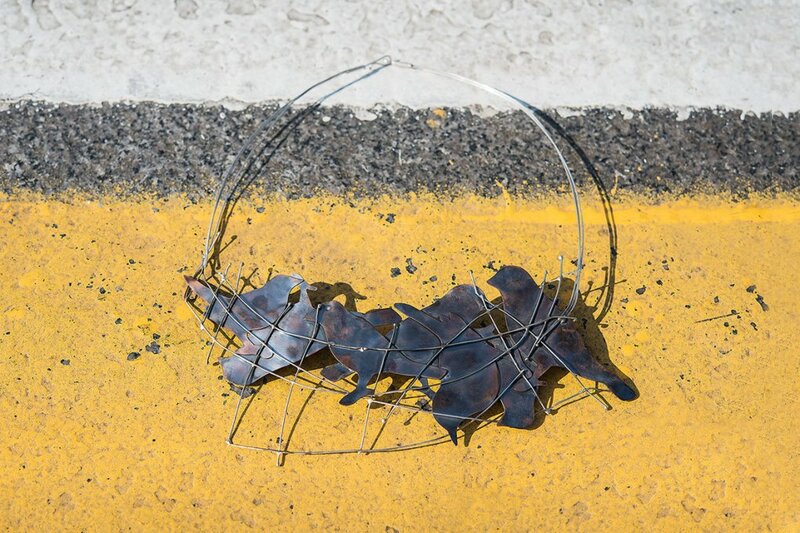 Two artists of the collective, Debs Wrekon and Lucia Lupan, exhibit their sculptures here, respectively Mementi, deers derived from metal elements and “Ho sognato di volare”, birds that could come from another universe. 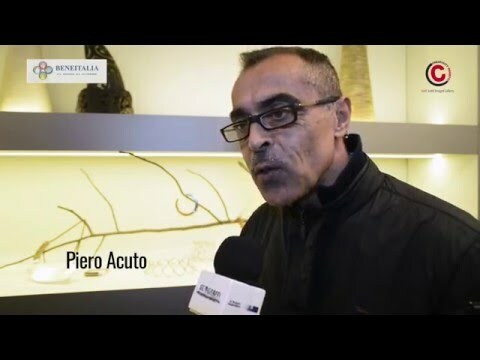 A world populated by animals is certainly that of Antonio Massarutto, whose privileged source of inspiration is nature and the animal world. 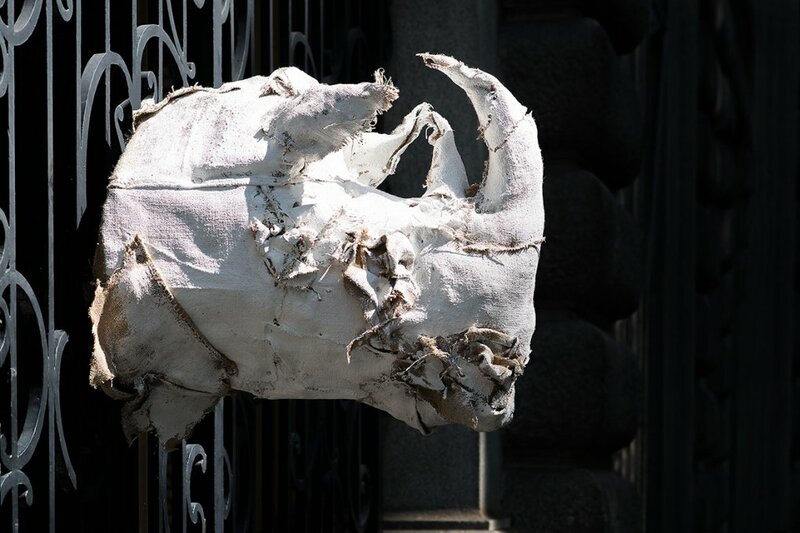 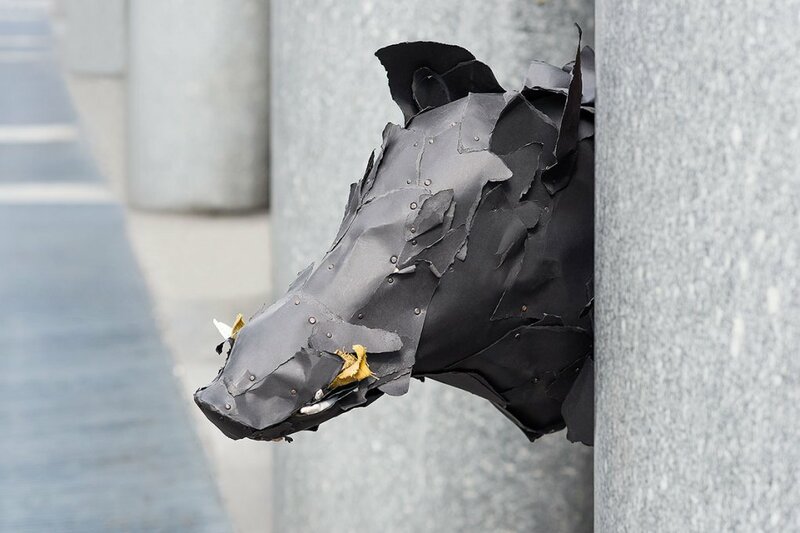 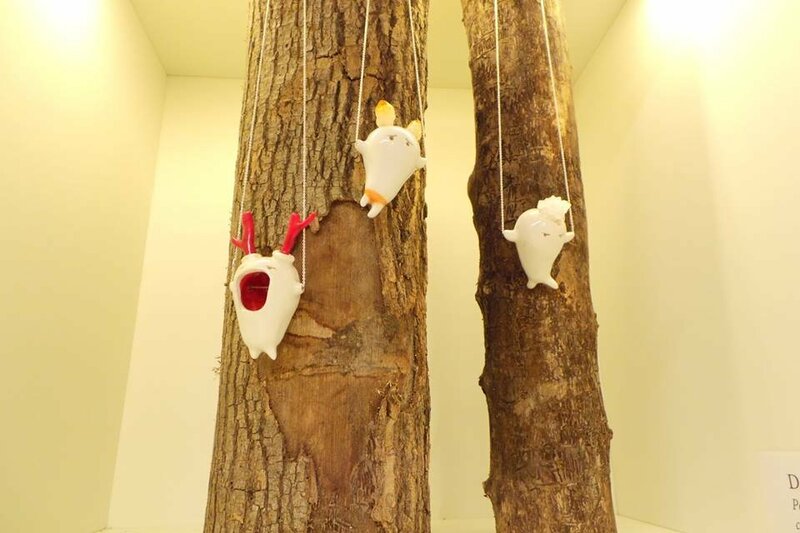 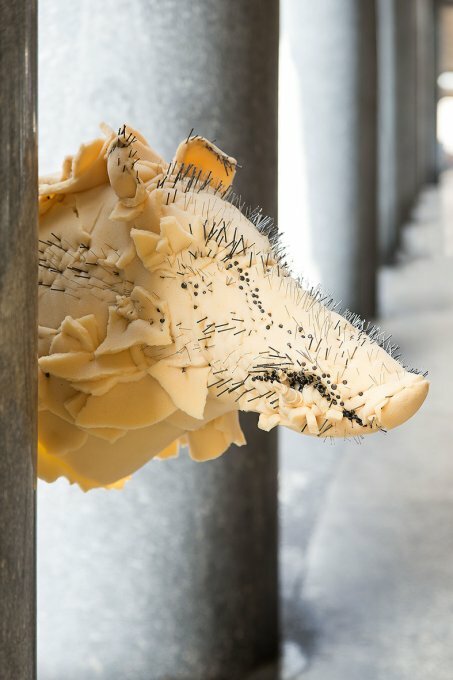 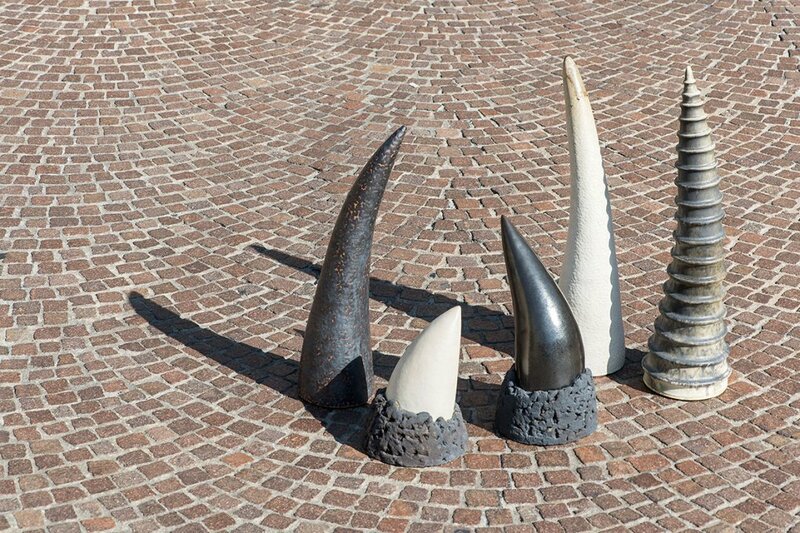 “C'erano delle patate, Ero soft, Ero un Bristol, Ero un cuscino, Ero un divano (nel bosco)”, all works carried out using the “eco-taxidermy”- technique, are deers, wild boars and rhinos which have been able to attract the interest of international collectors. 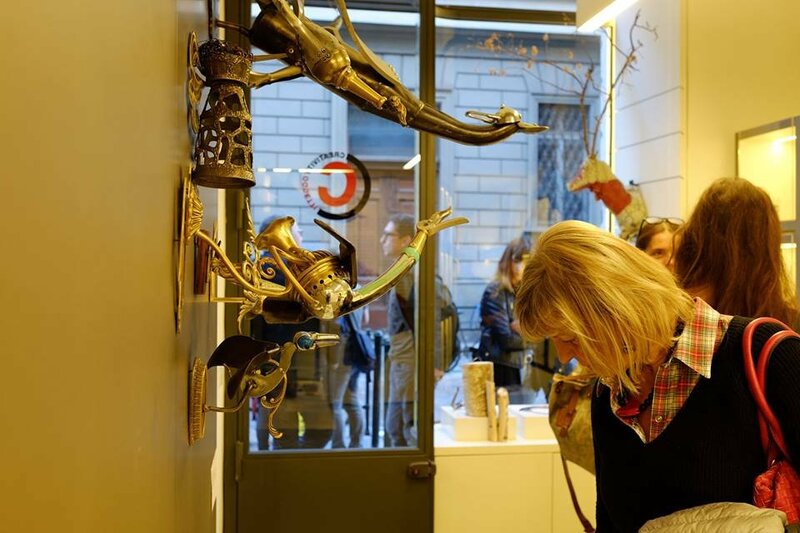 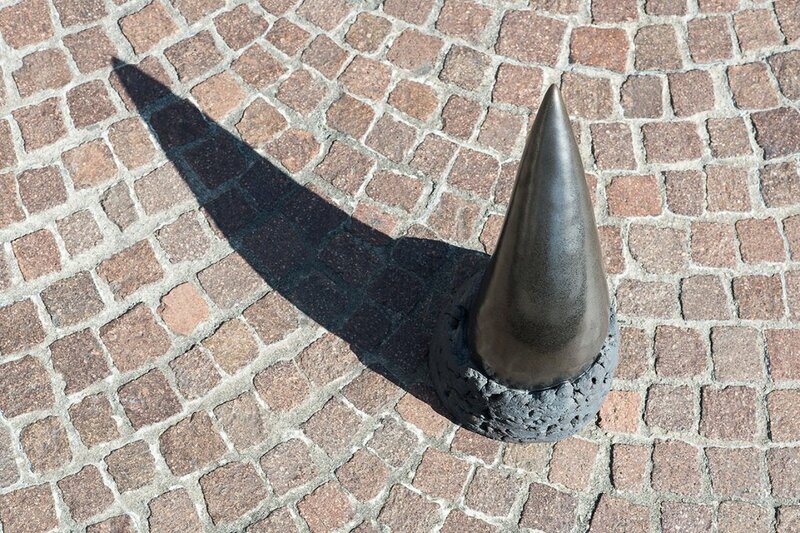 The urban trophies in the exhibition are immortalized and captured by the photographic glance of Federica Cioccoloni within their metropolitan habitat, underlining the ambivalence which animates the whole exhibition. 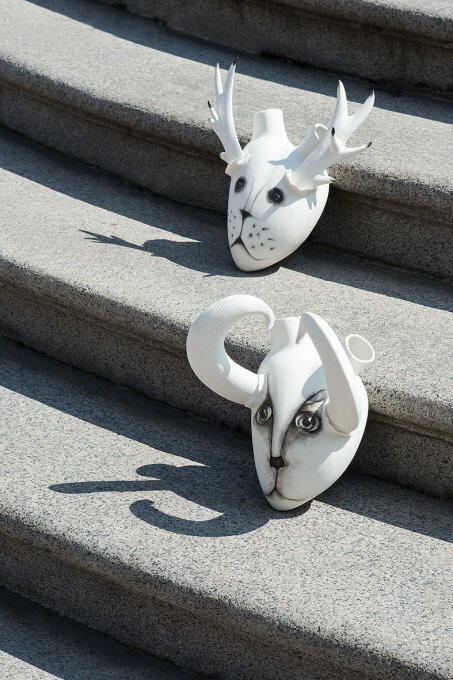 These “modern” animals, resulting from human creation, appear in contrast with those naturally coming from the animal kingdom. 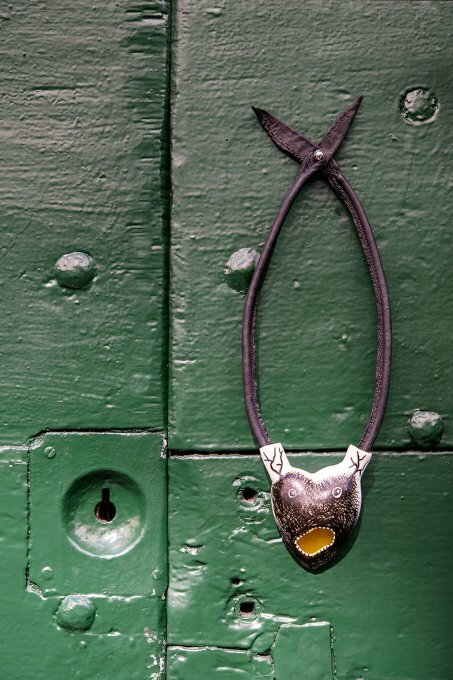 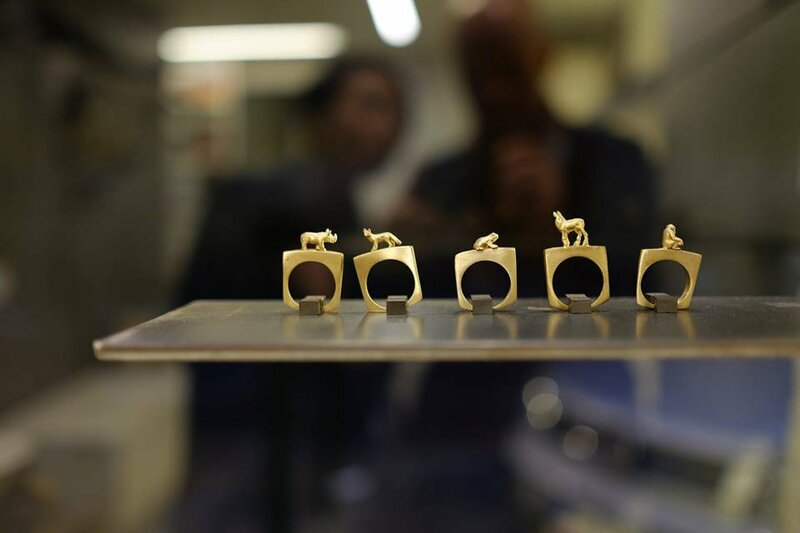 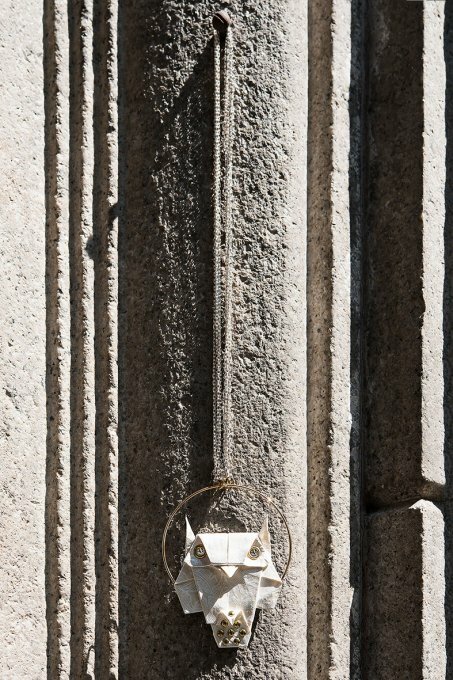 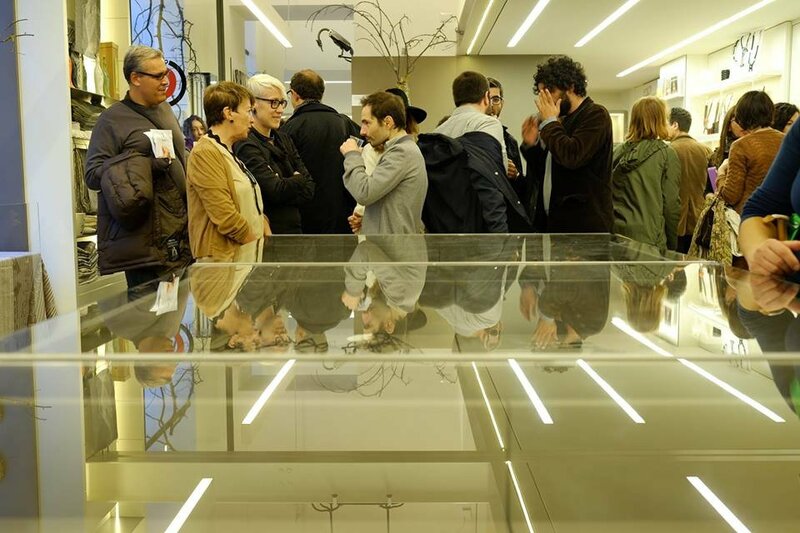 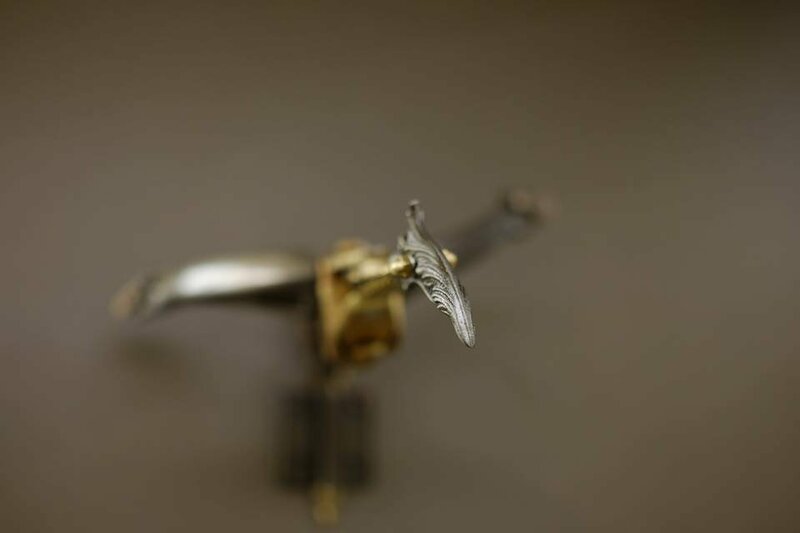 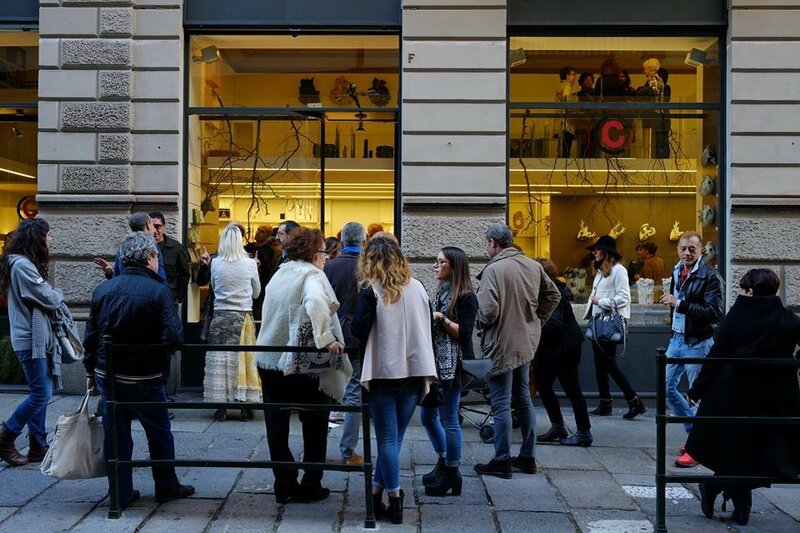 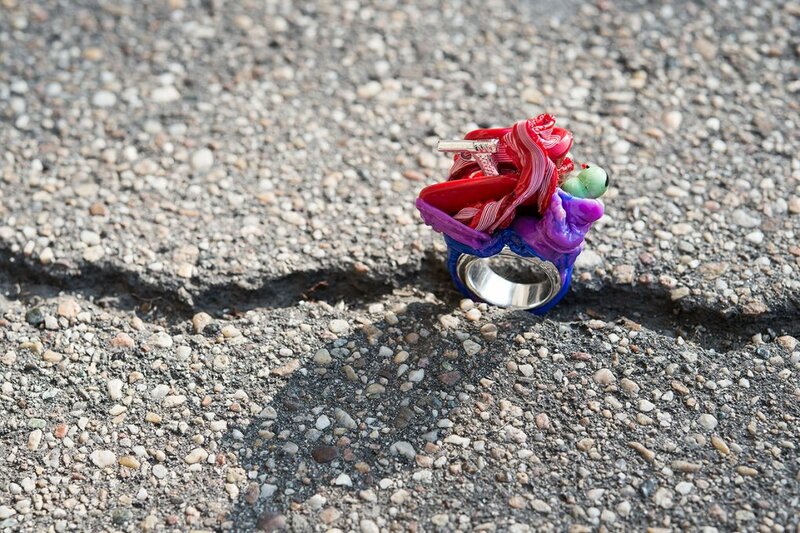 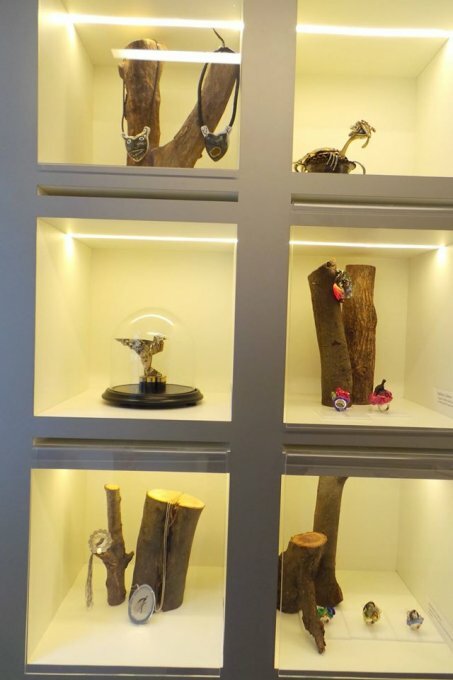 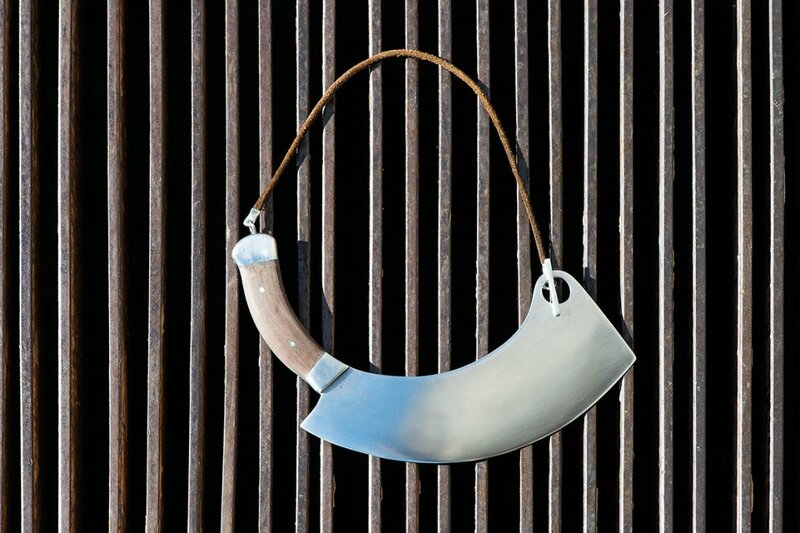 Alongside the exhibition, the artists Daniele Accossato, Aqto, Myriam B, Valentina Laganà, Antonio Massarutto, Minikami, Chiara Scarpitti, Luca Tripaldi and Barbara Uderzo created for the occasion a jewelry line on the theme, offering a showcase of excellence dedicated to the Italian Handmade. 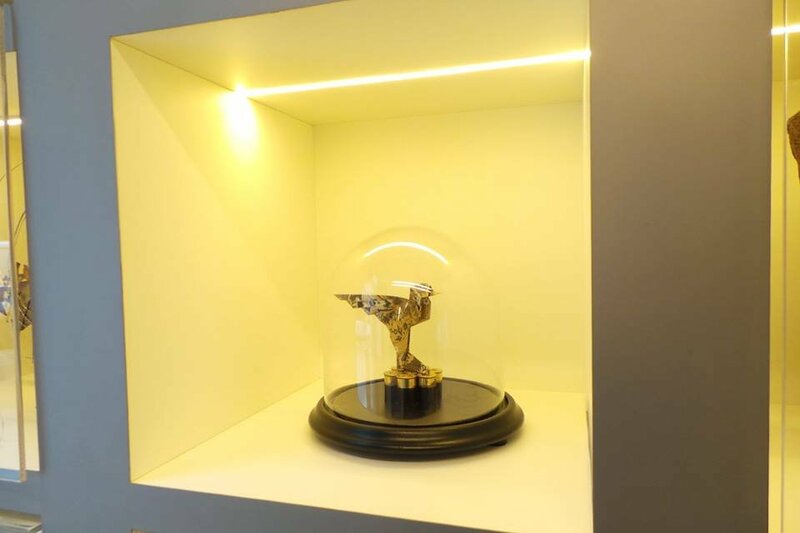 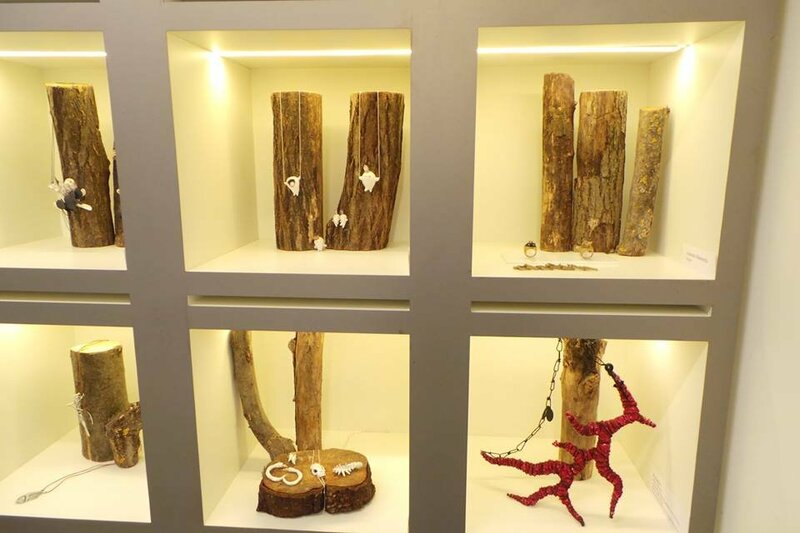 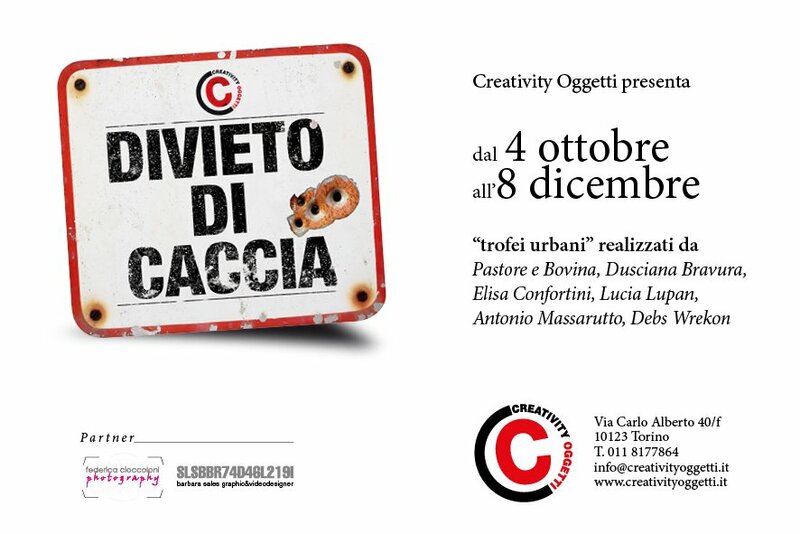 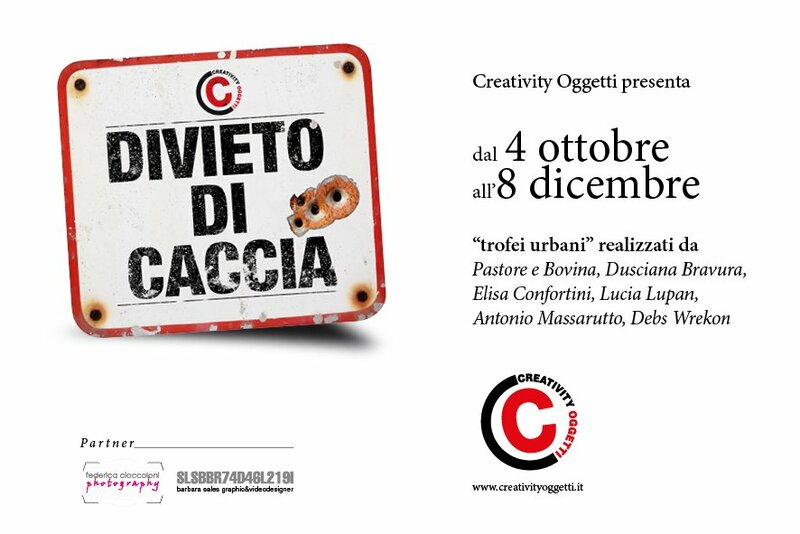 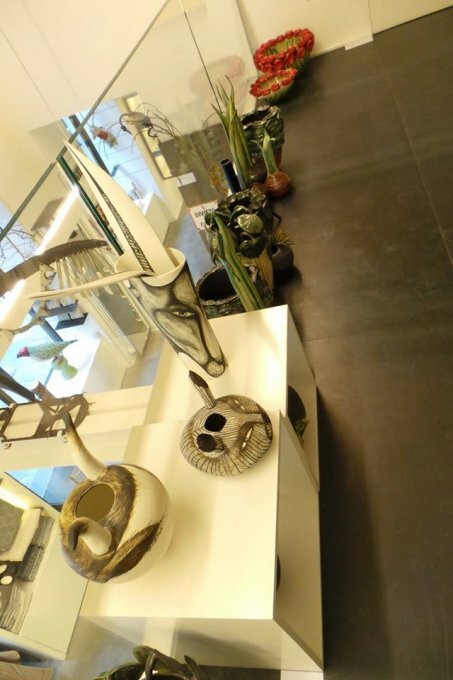 Creativity and research of Applied Arts are the distinctive features of Creativity Oggetti, which for over 15 years has been highlighting artists and designers specialized in manifesting masterpieces and unique sculpture-objects. 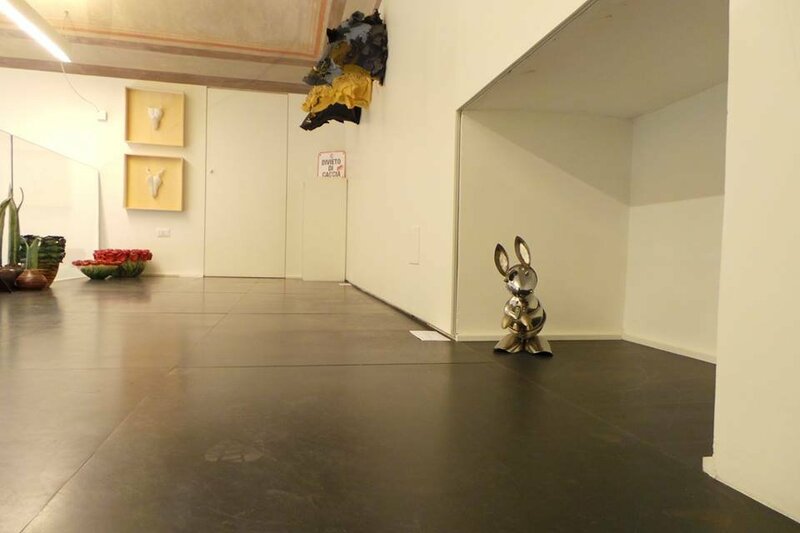 Ironically, to open the dances at “Hunting Prohibited” is Gino, a crossbreed between boxer and hound, and mascot of the gallery. 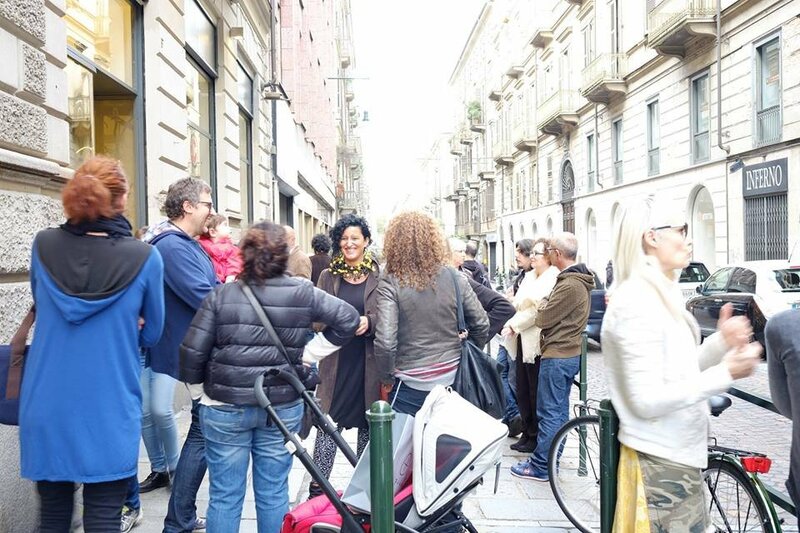 The inauguration, with vegan flavors, will take place on Sunday, October 4th 2015, from 16:00 to 19:30. 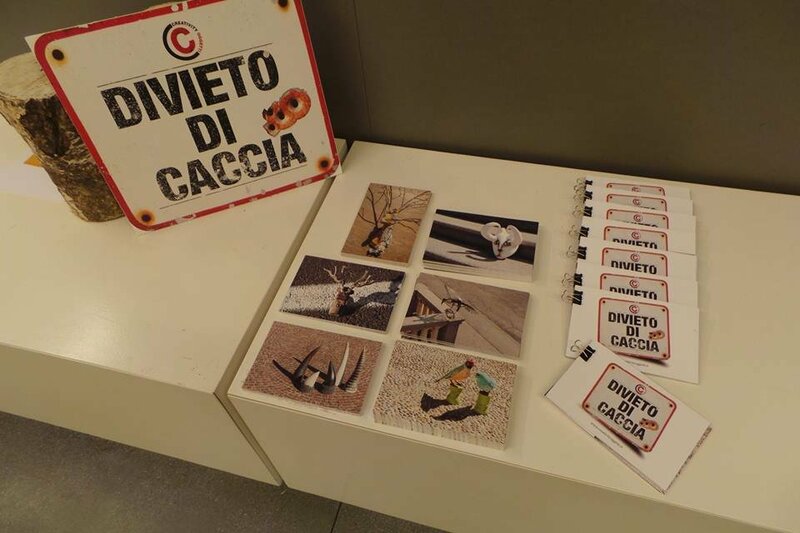 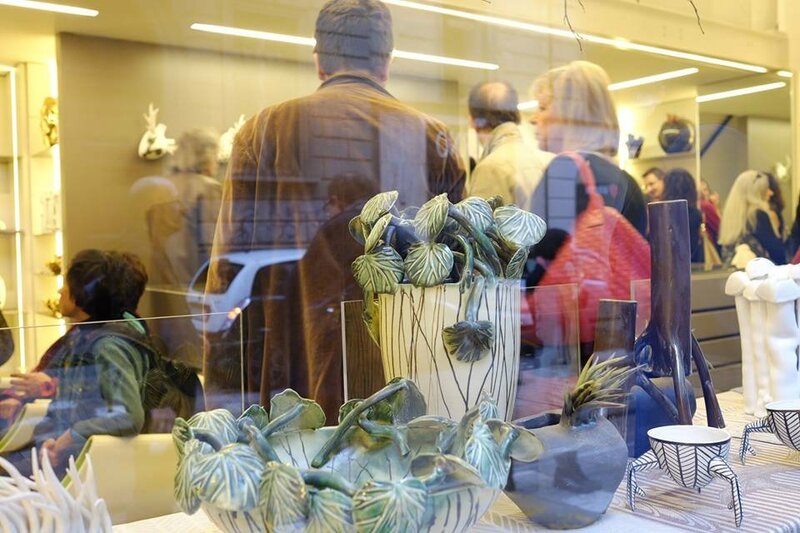 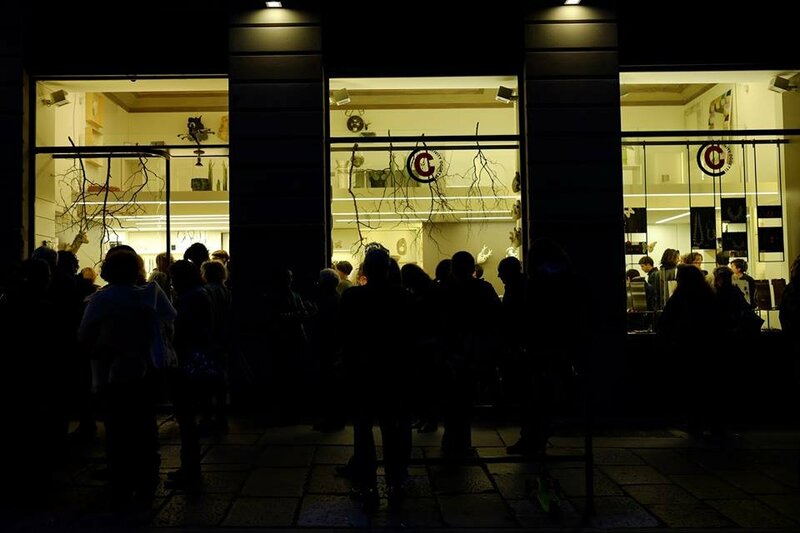 The exhibition will continue until December 8th 2015, in the new exhibition space of Via Carlo Alberto 40, in Turin, from Sunday October 4th until Tuesday December 8th 2015.